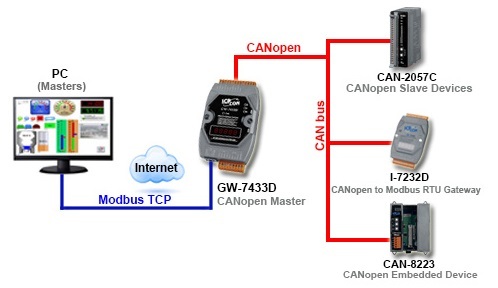 CANBus Converters and Gateways convert the Controller Area Network (CAN) network into RS-232, RS-422, RS-485, Modbus RTU and Modbus TCP interfaces. CAN protocol supports distributed real-time control and multi-master capabilities. You can use it for networking intelligent devices, data acquisition, controllers, sensors and actuators within a system or sub-system. 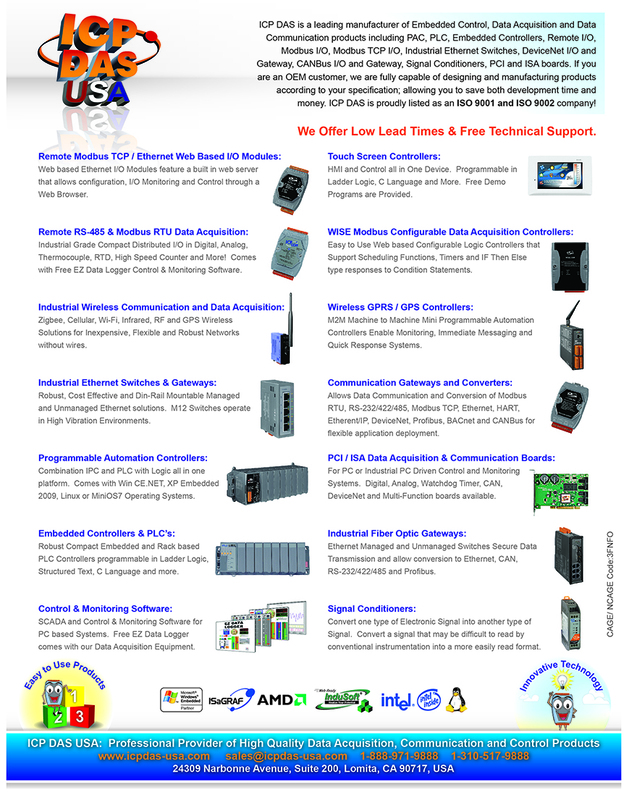 ICP DAS USA provides a wide selection of CAN Communication Converters and Gateways including: CAN to Ethernet, CAN to Fiber, CAN to Modbus RTU, CAN to RS-232, CAN to RS-485, J1939 to Modbus RTU, CAN to Modbus TCP and more.